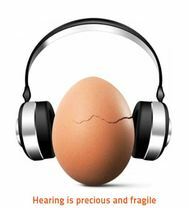 As Hearing Awareness Week is coming up on the 21st – 28th August 2016, it reminds us of the importance of promoting good hearing health and awareness. The World Health Organization estimates that hearing loss affects approximately 360 million people, or 5.3% of the world’s population. Reduced communication abilities impact on life chances through reduced opportunity to equally participate in education, gain competitive skills and employment. Whist this statistic covers those who are hearing impaired, deaf or have an ear disorder, it does not include family, friends and society who are also directly affected by this disability. In light of this ReSound would like to highlight our "Relatives Brochure”, which is an end user brochure to help to those who are dealing with a loved one with hearing loss, to understand what are going through and advise them on how to best support them. During Hearing Awareness Week (21st – 28th August 2016) ReSound provide staff with free hearing checks and arrange information sessions on maintaining healthy hearing and to address the myths and stigma of hearing loss. 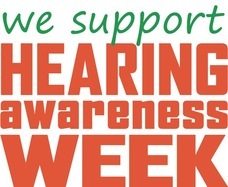 For more information or to find our how you can support Hearing Awareness Week click on the link below.